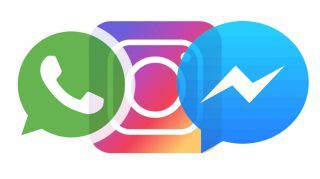 The BBC has reported on Facebook’s plans to integrate it’s messaging services on Instagram, WhatsApp and Facebook Messenger. Facebook probably didn’t want to talk about this in the middle of a privacy scandal, but its hand was forced by insiders talking to the New York Times. By effectively joining all its users into one massive group Facebook could compete more effectively with Google’s messaging services and Apple’s iMessage, suggested Makena Kelly on tech news site The Verge. The NYT claimed that Mr Zuckerberg’s championing of the plan to connect the messaging system had caused “internal strife”. It was part of the reason that the founders of both Instagram and WhatsApp left last year. The UK’s Information Commissioner has already conducted investigations into how much data is shared between WhatsApp and Facebook. Source.